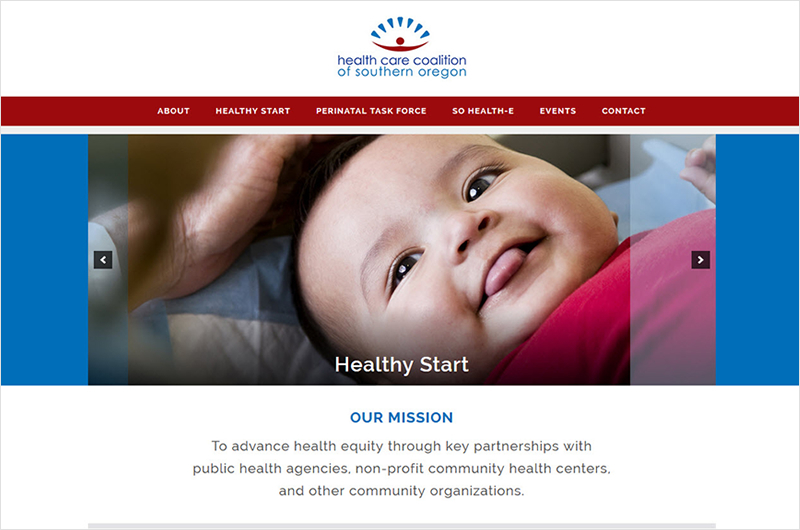 The Health Care Coalition of Southern Oregon (HCCSO) is focused on advancing health equity. They haves three major programs: Healthy Start of Southern Oregon, Southern Oregon Perinatal Task Force, and SO Health-E, each run by dynamic professionals. At the helm of the organization is Maggie Sullivan, a kind, intelligent director who is passionate about public health. Our new website, designed by Erin O'Kelley Muck of Ruby Slipper Designs has just launched, and I could not be more pleased! Erin has a wonderful eye for quality, and designs websites that are user-friendly, with a clean, professional look to them. It was such a pleasure working with Erin from start to finish. She was always prompt and responsive, and fun to work with. She provided many wonderful design options, and gave good suggestions at all stages of our work. Her attention to detail persisted until the very end, and she was not satisfied until every last detail was just right. I highly recommend Erin and Ruby Slipper Designs for any and all design work. Erin is talented, committed and great to work with.